Give a big farmgirl welcome to Renee McCausey, another new Project F.A.R.M. (First-class American Rural Made) business member. Renee lives with her husband and five children on a small farm in the middle of Michigan. She says chickens were her farming “gateway drug,” and they now raise angora rabbits, pygora goats, alpacas, and “a turkey or two … or three.” They also garden, tend fruit trees, and raise their own food. 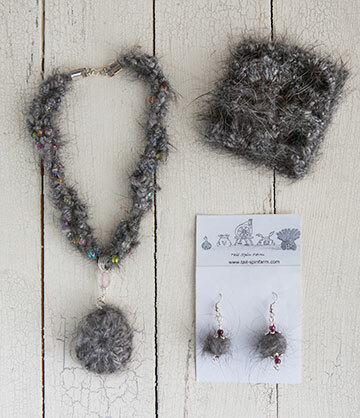 Renee is also a fiber artist, and uses fibers from her bunnies, goats, and alpacas to make beautiful hand-spun articles like the necklace, crochet cuff bracelet, and earrings shown below. Throw your name into our giveaway hat and win the beautiful set below by leaving a comment. Stay tuned to find out who gets these wonderful accessories. This next set from Renee is all mine (sorry, all I’m sharing is the photo! 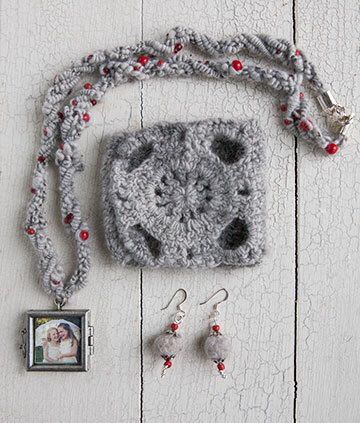 ); bracelet, earrings, and locket necklace holding a photo of my grand girls. I wore this gorgeous ensemble on Christmas day. Visit Renee’s Tail Spin Farm at Tail-Spin Farm.com. Looking to put a little bit of country into your kitchen? We’d like to welcome Jill Schrader into our lineup of Project F.A.R.M. (First-class American Rural Made) business owners. 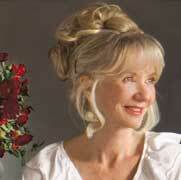 A native of Idaho, Jill’s inspiration comes from her love of country, mountains, and what she sees out her windows. 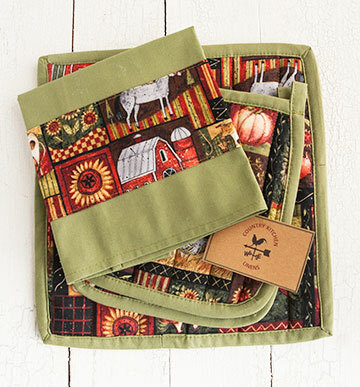 Jill creates classic, whimsical, country, and lodge-style kitchen linens to show off your personal taste. Stop by her new Etsy shop and give her a hearty country hello! 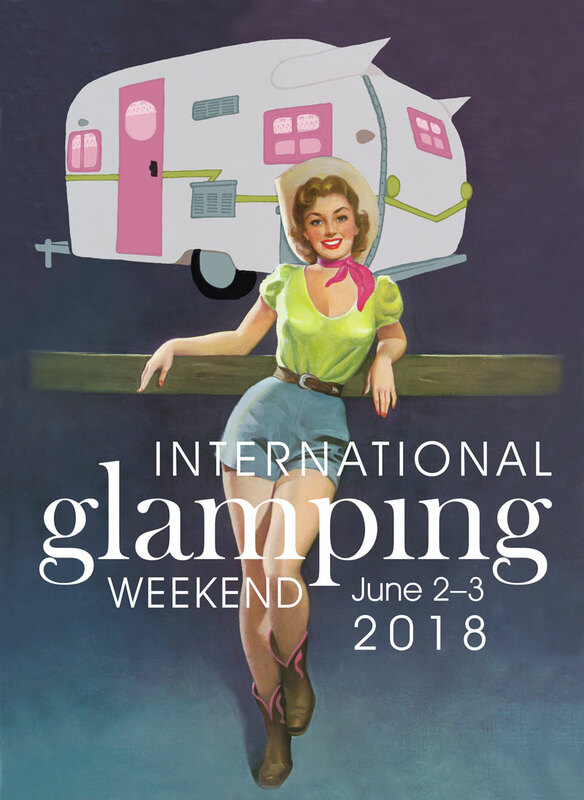 Oh, and toss your hat into our giveaway ring by giving her a welcome in the comments section below. We’ll put your name in a hat and pull out a winner this time next week. Stay tuned! We’d like to welcome to Rebekah Alexander’s Kai Tea into our lineup of Project F.A.R.M. (First-class American Rural Made) businesses. Rebekah is from Deary, Idaho, a tiny north-Idaho town close to my farm. She and her husband live on a small farm with chickens and cows. 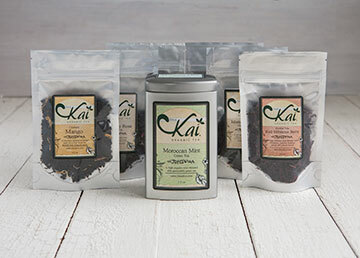 Rebekah recently joined her brother in making beautifully-packaged, organic, loose-leaf tea with flavors like Moroccan Mint Green Tea, Cream Earl Grey, Orchard Mango, Raspberry Rose White Tea, Red Hibiscus Berry, and Peach Assam Black. Visit Rebekah online at DrinkKai.com. Visit Renee’s Tail Spin Farm at Tail-SpinFarm.com.